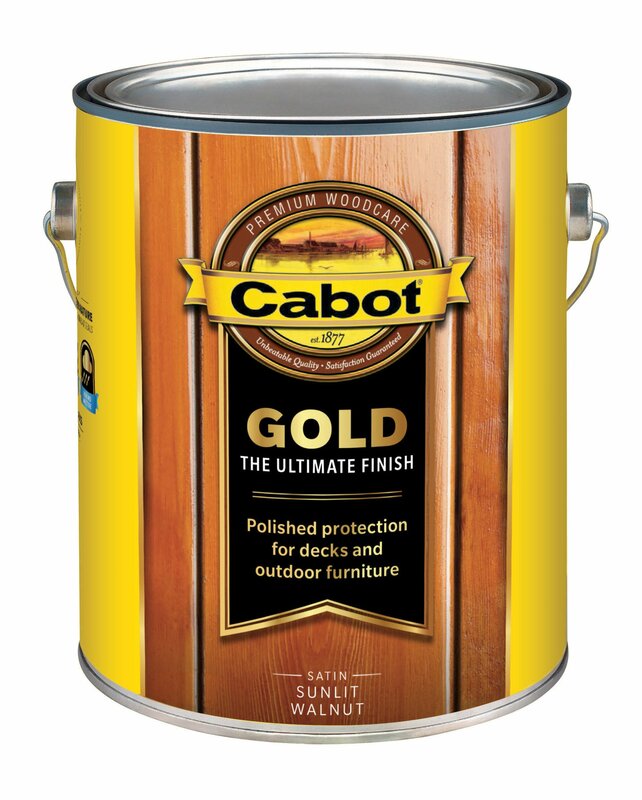 Cabot® Gold is the ultimate finish, providing a beautiful sheen and strong protection from Mother Nature’s worst: UV sun damage, extreme temperatures, rain and moisture. The first coat penetrates, the second coat adds dimension as it seals. The finish mimics the look of interior hardwood floors. Amount of sheen will vary based on number and thickness of each coat. Sheen will weather gradually over time.